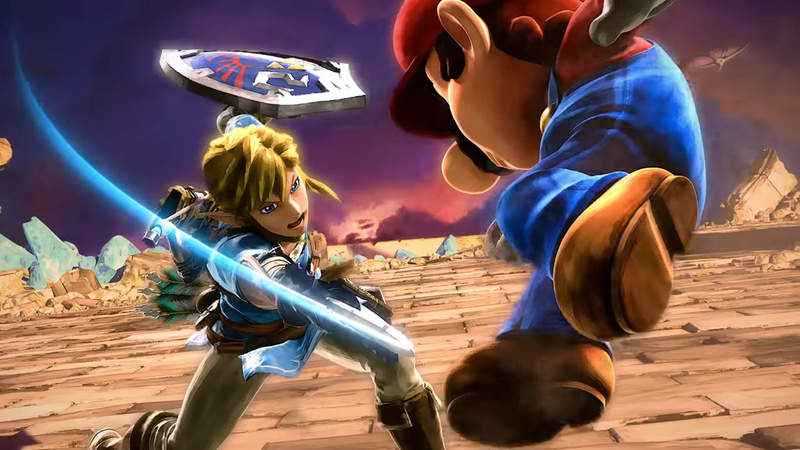 Nintendo has received some extra recognition at the 8th annual New York video game awards, with Super Smash Bros. Ultimate being awarded the title of 2018's best fighting game and the Labo Variety Kit scoring best children's game. The Motion Twin title Dead Cells took out the best indie award and the game of the year went to the PlayStation 4 exclusive, God of War. Red Dead Redemption 2 took out the awards for the best world and best writing and Jade Raymond - known as the Assassin's Creed franchise co-creator and founder of EA Motive and Ubisoft Toronto studios - took out the industry legend award. 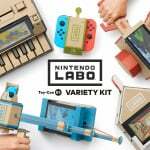 Nintendo Labo has previously been acknowledged for its innovative ways, but Smash Bros. Ultimate hasn't been quite as widely recognised as it was released late in December. To view the full page of winners, head over to the New York Video Game Critics Circle website. Congrats for Smash Ultimate! Though, I actually prefer Dragon Ball FighterZ over that game, and this is coming from a huge Smash Bros fan. That said, I am proud that it's getting praise from the crowd and hope it provides the Switch success until the end of its lifespan. Not much of a competition, other than Dragon Ball and Soul Calibur there wasn't too much this year. I'v never even heard of the New York Video Game Awards. Must be a prestigious award. I didn't even know this existed. Do not play fighting games, but people enjoy it. 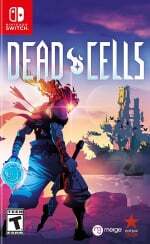 I picked up Dead Cells last week and I just cannot get into it! It's just not struck a chord with me right away unfortunately. Only played about an hour right enough but wasn't spurred on to play more. I have opted for alternating between Smash and Grim Fandango. Also didn't play many (or maybe any) other fighting games last year so can't say if Smash is the best, but it's effin good, I know that! I am still trying to get all the spirits. It's exhausting. Smash was my game of the year for 2018. 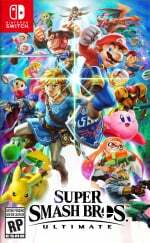 I don't really know if I would consider Smash a fighter in the same category as Street Fighter, Soul Calibur, etc., but it's without a doubt the best AAA game this year in my opinion. God of War was a great experience but one I really don't feel the need to ever play again and Smash is just pure fun with friends. Also, the fact that Smash outsold God of War in a month when GoW has been out for most of the year, on a console with a smaller install base, is truly incredible. The power of Smash and Nintendo first party games in general is infinite. Heck yeah! It was my game of the year for me. Still actually a fighting game! Shocking, I know. Oh, good, a set of yearly video game awards that actually waits until after the calendar year is over to give out their awards. Many years, excellent December releases like "Super Smash Bros. Ultimate" and "Xenoblade Chronicles 2" the year before get unfairly, completely snubbed by most video game awards due to that quirk in the timing. This needs to change! @ReaderRagfihs "BlazBlue: Cross Tag Battle" and "SNK Heroines" are two more pretty good fighters that came out last year. There were also a few indie games like "Brawlhalla." @ReaderRagfihs BB:CTB, SNK Heroines as well. Probably at least 3 confusing re-releases of GG:Xrd under completely different names. Still, I have a hard time thinking of Smash as a "fighter".... Its kind of like "best platformer" going to Assassin's Creed. Yeah, it kind of is....but kind of isn't. "Sakurai: I think it's because it is, in fact, not a fighting game. The nature of it is similar to a sports game in which the player shoots an opponent as if it were a ball. The results are different [every time you play], which, I think, is also a unique and attractive quality of the game." @RedMageLanakyn Okay, so the characters are hitting each other by punching, kicking, and using special powers in order to win. What are they doing if they're not fighting? @Rondy You do those things in SEVERAL games that are not, by a majority of people, considered "fighters". Would you consider resdient evil, assassin's creed, Mario odyssey, Mario kart, Pokemon, Mario party, hollow Knight, or another 100+ games to be "fighters" as well? Bottom line is, smash is a great game, but it is by nature a party game, or as Sakurai puts it, a sports style game. Leave the "fighters" category to games that actually fit the mold, like FighterZ, Street fighter, mortal Kombat, etc. Seems you need to reread the comment where I previously corrected you. A brawler is to a fighting game what a kart-racer is to a racing game. Let's not get contrary when it comes to video game genres. I'm curious though, following your logical fallacy it's more of a sports game, but not a fighting game how? @Rondy You were in such a hurry to reply but you didn't reply to me, you probably should've taken more time to come up with a better response than what you did. You never "corrected" me for starters, and if you disagree with me, and by proxy, the creator of the smash games, then feel free to disagree, I can't change your mind on that. No need to continue this any further, we'll never hit a middle ground and I don't have the time or energy to bash my head into an internet wall arguing with someone who doesn't get it. I don't disagree with Sakurai because I'm not the one taking his interview from 10+ years ago out of context to twist a point. At the end of the day, most people will refer to it as a fighting game, and it being awarded the New York video game awards 2018's best fighting game renders your isolated stupidity moot. Sorry pal, you're the one who doesn't get it! @Rondy Other comments above and below mine seem to agree it's not a fighting game as well. Referring to insults is the sign of someone who's already lost the fight, nice try though have a good one, better luck next time. So much for arguing then, oh and I didn't even have to tag you which just goes to show you're only lurking to troll. But on the basis of it being a brawler, that therein makes it a fighting game. Which I've been saying from the start, I can't help it if you're intellectually impaired.